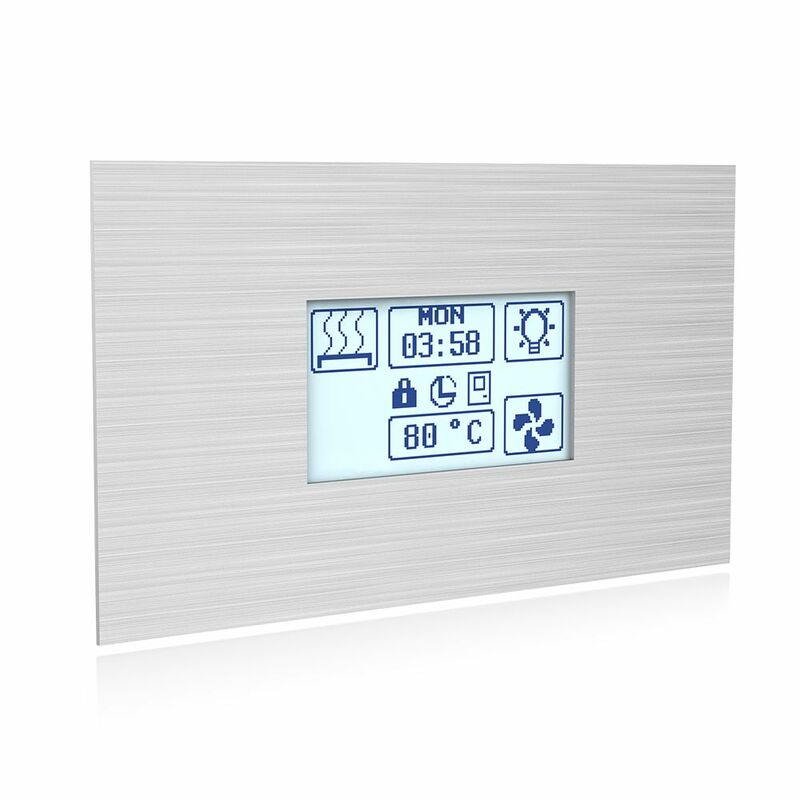 Innova Touch Stainless Steel is an LCD touch screen control with thick hairlined stainless metal casing. The casing design is inspired to minimalist concept that fits well to modern house interiors. The control can be neatly recessed along the outside walls of the sauna room leaving only stainless interface protruding from the wall or can be mounted with an optional wooden interface holder.